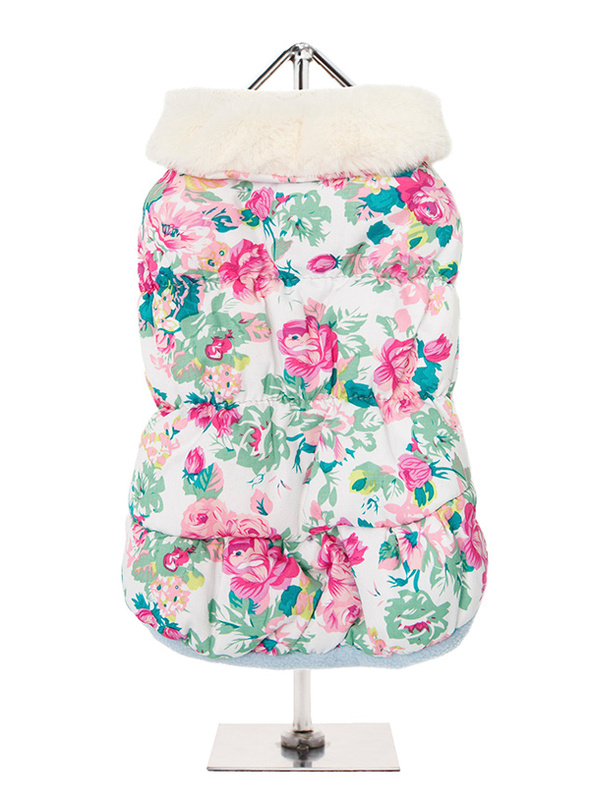 We have added one of this year’s must have prints to our range of coats to brighten up the even the most darkest of days. 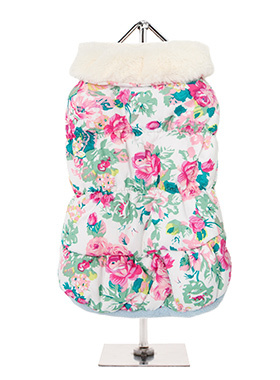 Our Rose Sensation coat is finished with a white luxurious faux fur collar and sleeves. 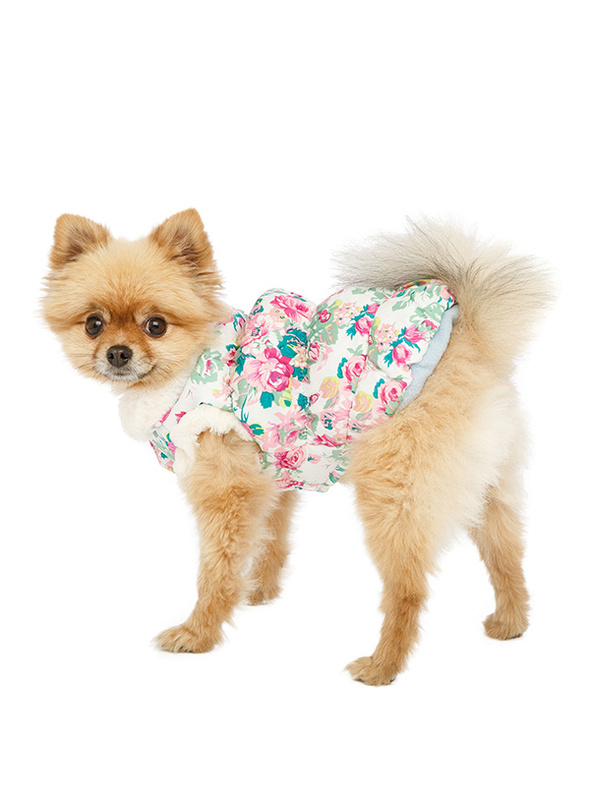 It is fleece lined and fastens along the underside with four poppers making it easy to both dress your dog and remove the coat. 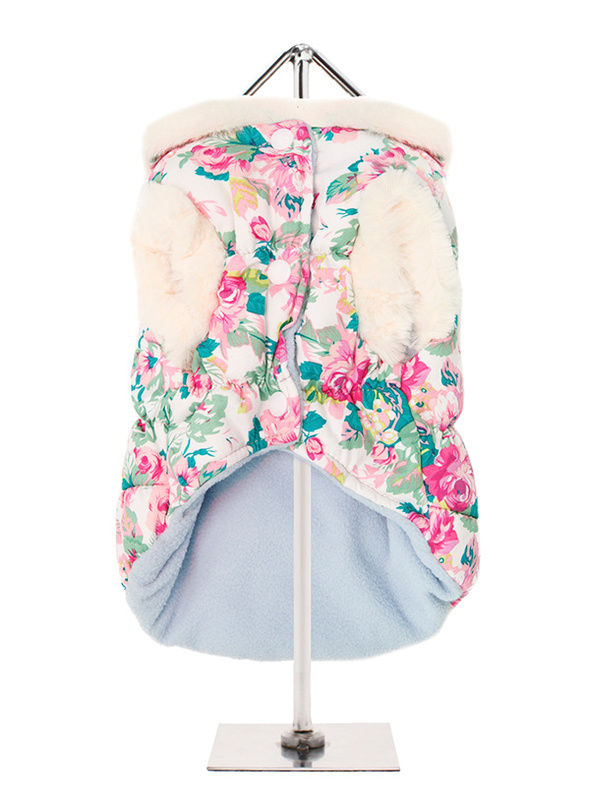 It comes complete with leash hole to allow a harness to be worn underneath.